Chipping or cracking a tooth may not seem like a big deal, until it happens to you — even the tiniest crack or chip can cause significant pain or make you feel less confident in social settings. At Arcadia Dentistry in Phoenix, Dr. Matthew Milana has the expertise and experience it takes to return problematic teeth to their normal shape and size. 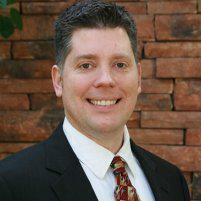 He provides restorative cosmetic services, including crowns, to patients from across the Phoenix area. If you’re in need of dental restoration, call the office or book your appointment online today. Dr. Milana uses a porcelain crown, or cap, to restore strength and appearance to a tooth that’s severely worn, cracked, weak, or discolored. It’s usually the best option for strengthening a tooth that’s been weakened by a large filling or repairing a decayed tooth that doesn’t have enough tissue to hold a filling. Crowns are also useful for restoring a chipped tooth or protecting a tooth that’s prone to breakage. What does a crown procedure entail? Getting a dental crown is usually a two-visit procedure. During your first visit, Dr. Milana numbs the area around the tooth that’s being restored. After removing any old restorations or decay from your tooth, he files it down to prepare it for the crown. If you do have a cavity, he’ll fill it before taking an impression of your tooth. The impression goes on to a dental lab, where crowns are custom-made by highly trained technicians. At the end of your first visit, Dr. Milana makes a temporary crown and fits it to your tooth. During your second appointment, Dr. Milana removes the temporary crown, fits your permanent crown, and then cements it into place. Yes. In addition to making a customized crown from an impression of your tooth to make sure that it fits just right, Dr. Milana also considers the color, bite, shape, and length of your other teeth. The average crown lasts for five to eight years, but crowns can actually last much longer with good oral hygiene and regular dental care. It’s important to continue to brush and floss twice a day, and use floss or interdental cleaning devices to remove plaque from the area where the crown meets your gums. Stellar oral hygiene is especially important if your crown is covering a natural tooth, because that tooth is still prone to decay. Certain habits, such as chewing on ice or grinding your teeth, can significantly reduce the life of your crown. To keep your crown from cracking, avoid biting down on ice or hard foods, and wear a mouthguard if you grind your teeth when you sleep.